A Touch of Namibia is just that: a sampler of the most impressive highlights of one of Africa’s truly unique safari destinations. 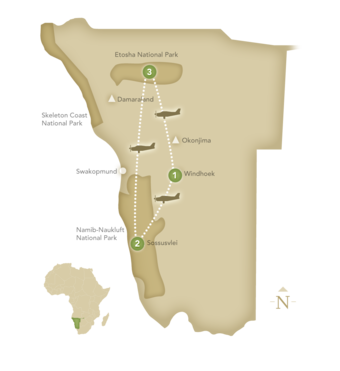 From phenomenal wildlife viewing around the waterholes of Etosha National Park to the towering sand dunes of Sossusvlei, Namibia’s greatest wonders are front and center on this compact itinerary. 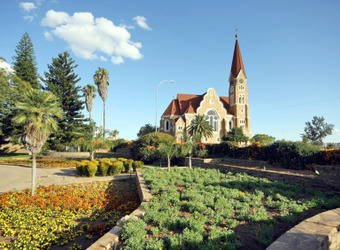 The capital city of Windhoek, where your trip begins and ends, provides a genteel contrast to the raw wilderness. 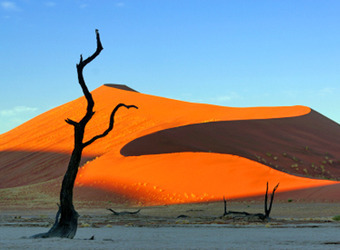 The moment I first saw the sand dunes of Sossusvlei, I was truly awestruck. 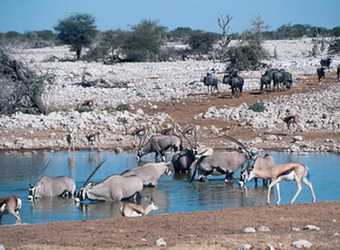 Combining a visit to this remarkable landscape with the prolific wildlife of Etosha National Park is an incredible way to get a taste of the spectacular beauty and diversity of Namibia. 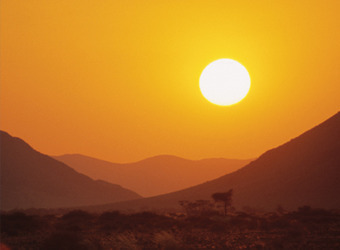 Your safari adventure ends today in Windhoek, Namibia.